“Özyeğin University Gastronomy and Culinary Arts B.Sc. Degree Program and Le Cordon Bleu Advisory Board” has been established during the initiation of the B.Sc. Degree Program and held its first meeting on May 8, 2013. “Özyeğin University Gastronomy and Culinary Arts B.Sc. Degree Program and Le Cordon Bleu Advisory Board” has been established as the first and the only advisory board that has instituted food and beverage, gastronomy and culinary arts domains. 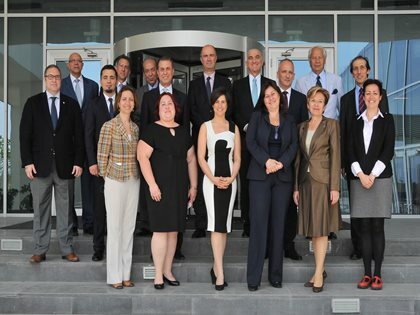 The Advisory Board was established on May 8, 2013 and conducted its first meeting on the same day. Formed by the active and leading doyens of the food and beverage industry, the Advisory Board contributes to the development of the Gastronomy and Culinary Arts Program and application of the recent trends of the sector on the academic program, shares information via the seminars organized and acts as mentors for the students of the Gastronomy and Culinary Arts Degree Program.